Pancreatic cancer remains a dismal disease with an incidence that is on the rise even in a low incidence region like India. In recent years, there have been significant advances in the understanding of pancreatic cancer largely due to strides in modern molecular biology, pathology and radiology. While molecular biology continues to provide an optimistic vision for future treatment approaches to this deadly disease, the recent identification of PanIN’s and resection margins in pancreatic cancer have important implications for current day-to-day practice. 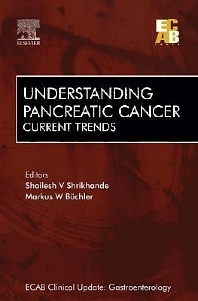 This book explains how better understanding of IPMN and its management has improved the scope of pancreatic tumors. It also explains what role do heat shock proteins perform in cancer. The book gives concise description on how a number of important advances have made pancreatic pathology an exciting and rapidly advancing field. There are chapters that explain how good endoscopic ultrasound is in detection of cancer pancreas and also talk about experimental studies on obstructive jaundice and biliary drainage. Neo-adjuvant strategies in operable pancreatic adenocarcinomas are also being explained in detail. It is sincerely hoped that this book will update the busy clinician as well as the academician on various aspects of current importance in management of pancreatic cancer. Endoscopic Ultrasound in Pancreatic Cancer: How Good is the Evidence?